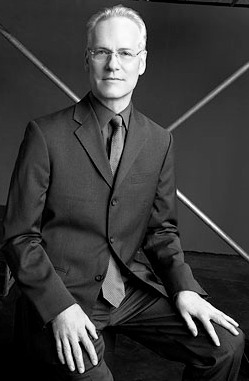 Tim Gunn’s appearance here at the Central Library, originally scheduled for next week on Tuesday, July 24, has been postponed . (Mr. Gunn is busy taping his new television series , debuting this fall.) Author Events staff are currently in the process of finalizing a new date, but we tentatively expect Mr. Gunn to appear at the Library sometime in late August. We will post updated information as soon as we have it. In the meantime, check out the first chapter of Tim Gunn: A Guide to Quality, Taste & Style and--if you happen to be a fashion-troubled woman living within 30 miles of New York City, at least 21 years old, and a legal resident of the United States--consider auditioning for Mr. Gunn’s upcoming series.